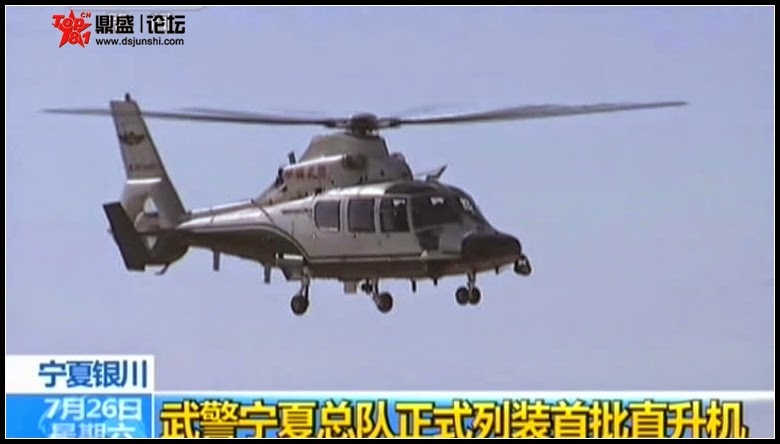 China Defense Blog: Ningxia People's Armed Police (WJ) commissions its first helcopter battalion. 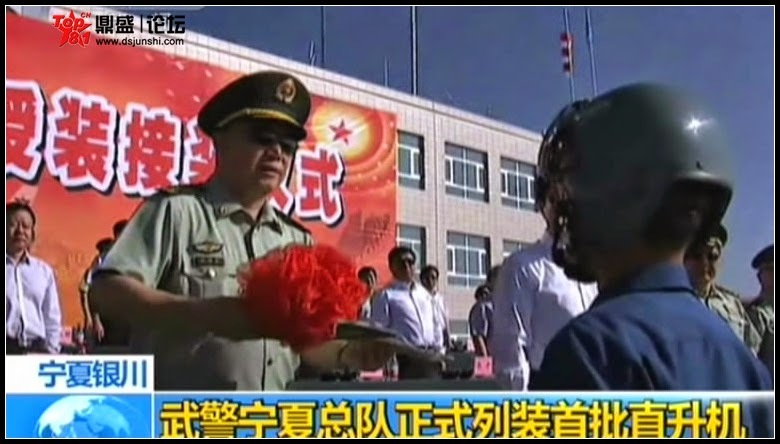 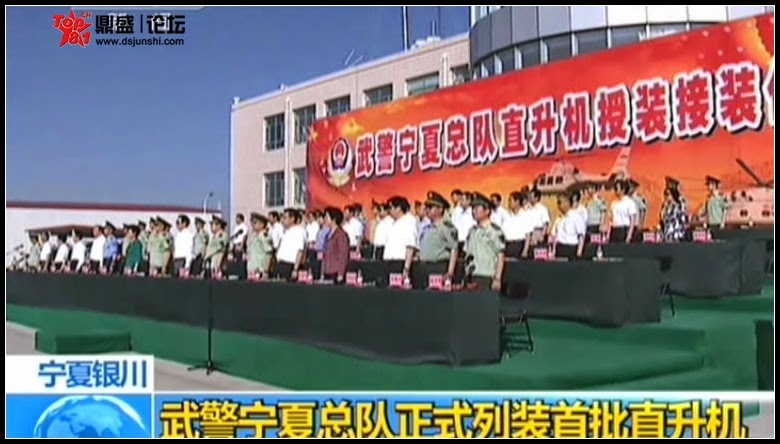 Ningxia People's Armed Police (WJ) commissions its first helcopter battalion. 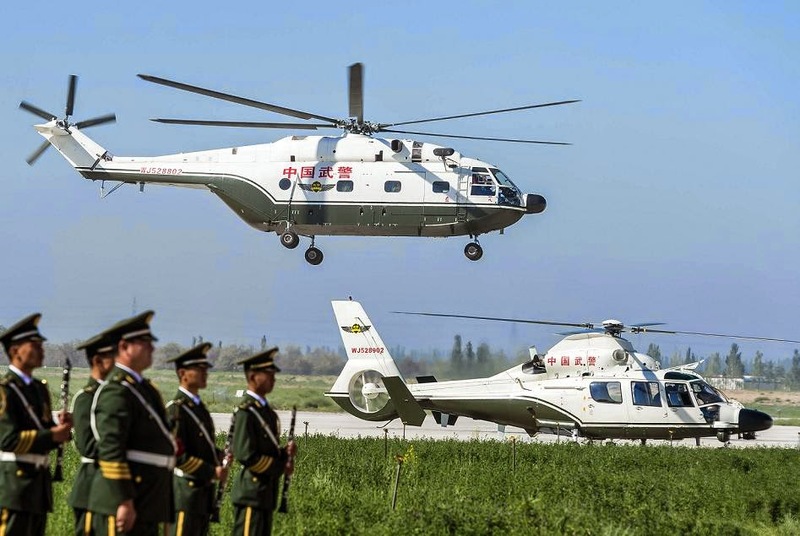 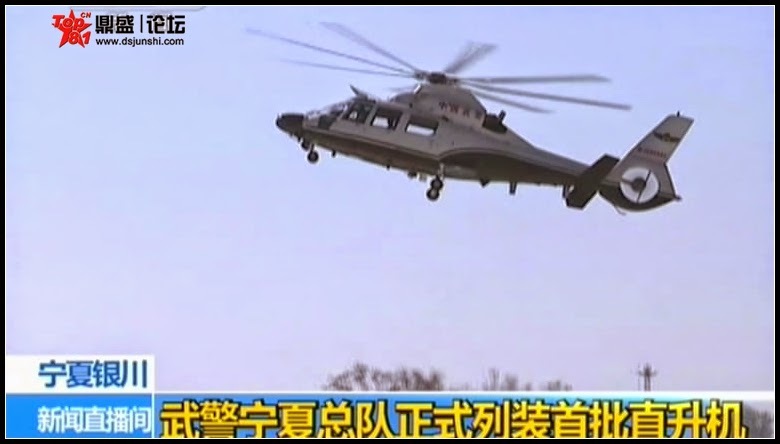 It has been said that the PAP might enjoy a higher funding priority than the PLA ground force, seeing the slow but steady growth rate of PAP's organic helicopter TOE, there could be some truth to that rumor. 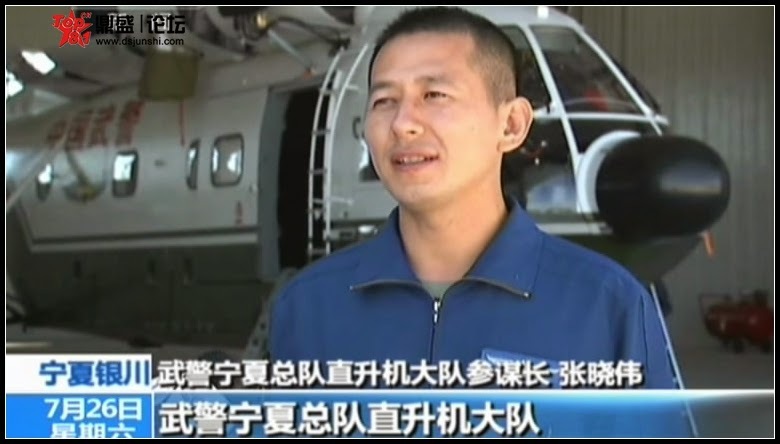 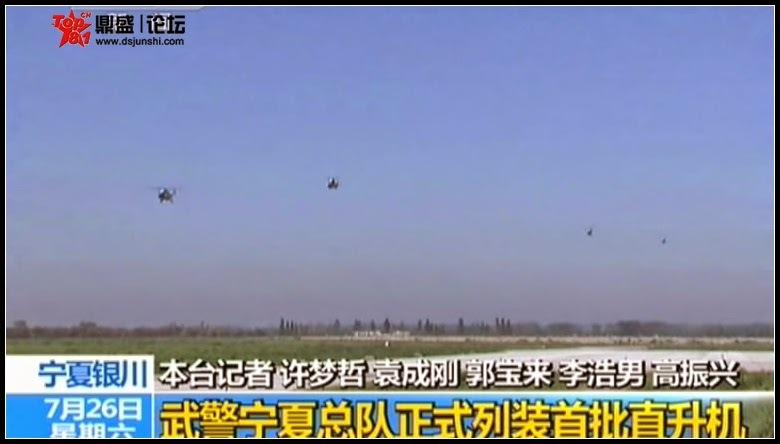 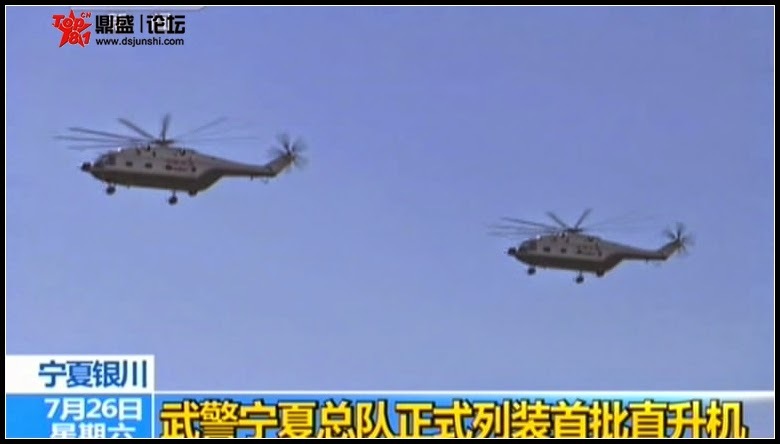 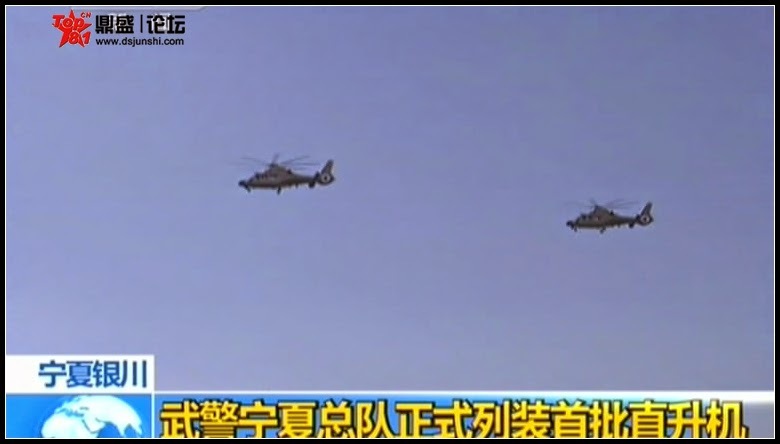 The initial elements of the Ningxia PAP (WJ) helicopter battalion composed of 3xZ-8WJ and 2xZ-9WJ.